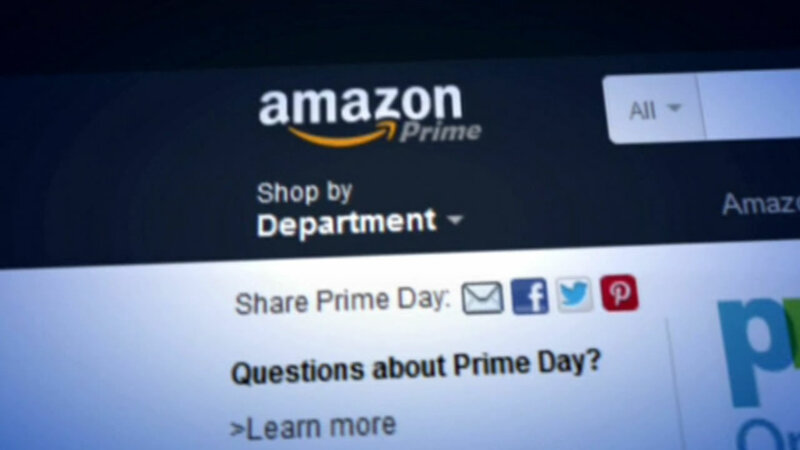 Amazon, celebrating its 20th anniversary Wednesday by offering Prime members what it calls "better than Black Friday deals," is in the middle of a cyber smackdown with Walmart, which announced it's slashing online prices only, to rival Amazon's big sale, dubbed "Prime Day." "This has gotten really nasty. Walmart doesn't like to lose. Amazon is killing them in ecommerce. Walmart is essentially trying to get people to save their money, not shop on Amazon's sale and shop their sale instead," retail editor Ashley Lutz said. Walmart took a swipe at Amazon, saying it doesn't understand asking customers to pay extra, meaning Prime subscribers, just to save more. Amazon had fighting words of its own. Representatives said they don't understand how Walmart can charge in-store customers more than online customers for the same item.